Our Roll Offs Are Ready to Work For You! Are you looking for a dumpster rental in or around Marietta? Then you have come to the right place. Our company delivers containers to locations in and around Marietta. We have several sizes available to accommodate any project around Atlanta. Customers in the area can find the containers they need at a moments notice. All that is required is a single five minute phone call to our customer service reps to get the bin you need ASAP! Our company provides several services in conjunction with the rental agreement. Our services include the disposal of construction material and residential waste. All you have to do is fill the container and call us when you are ready for pickup. 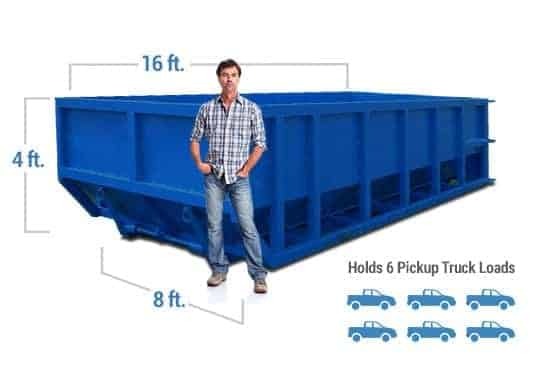 Our dumpsters come in sizes of 10, 15, 20, 30, and 40 cubic yards. We also provide additional roll offs as needed. Likewise, all of our bins can be used at work sites, private residences and commercial office parks. The 10 yard is appropriate for small remodels and medium sized cleanup projects. The bin is ideal for small kitchen or bath remodeling, upgrading or removing an outside deck, or simply attic and garage cleanouts. Great for medium scale renovating and remodeling. The 15 yard can be used for garage clean outs and single shingle roof debris. Likewise, the bin is also ideal for small or medium sized yard landscaping. 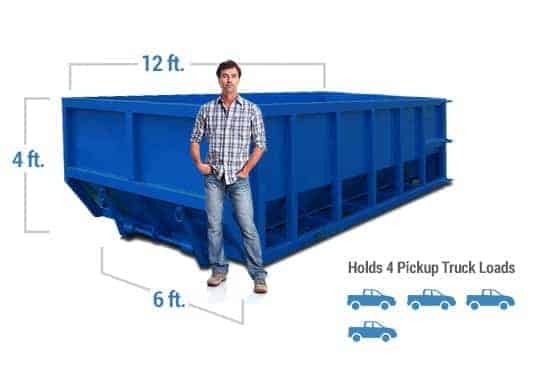 The 20-yard bin is ideal for projects that might be too much for the 10 or 15 yard bin to handle. Some examples where the 20-yard is useful would be flooring and/or carpet removal, removing a medium sized deck, and large basement or attic clean outs. The 30 yard is very common for customers that have large scale construction projects. Some of these projects include constructing a new home, major additions to a home, and home demolition. These bins are generally used for larger renovation and remodeling projects. Our 40 yard container is great for all larger building renovations and demolitions. The bin allows you to dispose of several tons of waste at one time, making it ideal for commercial building clean out and complete window or siding replacement to a large home. The bin is the largest of all our containers. No matter how big or small your next project may be. Discount Dumpster has the best solution for your waste management needs. With us there is no need to worry about unreliable customer service. Our customer service agents are available Monday through Friday to assist you. Likewise, there is no need to worry about pricing, because the fees are straightforward and concrete. A roll off bin can save you time and money, and Discount Dumpster is the company that will help you do just that! Call us today for a quote. 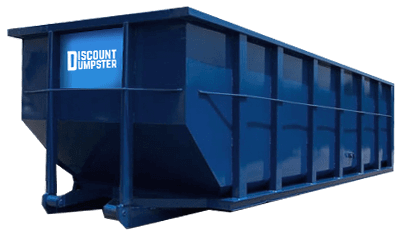 At Discount Dumpster, we emphasize in cheap and simple. Just as our name reads, we provide quality service at a low cost to you! The service we provide allows a waste container to be at your site for as long as needed. Our company provides roll offs to contractors, business owners, and private residences. If you have questions concerning the removal of certain construction materials feel free to contact us. While you may not be renovating the entire city of Marietta, any large restoration project is going to create waste and debris. After replacing floor beams, pulling and replacing wiring and a long list of other problems, the clutter becomes its own project. Call us today so we can assist you with your waste management.